NEW YORK CITY (WABC) -- The city appears to be on edge since last weekend's bombing in Chelsea. The NYPD has received 818 suspicious package calls since the explosion on West 23rd Street Saturday night. That's about a tenth of the total number received in all of 2015 and it represents quite an uptick from the usual 90 suspicious package calls the NYPD usually handles in a 24-hour period. "That's fine," Commissioner James O'Neill said today. "I prefer that. We need to make sure we investigate everything." 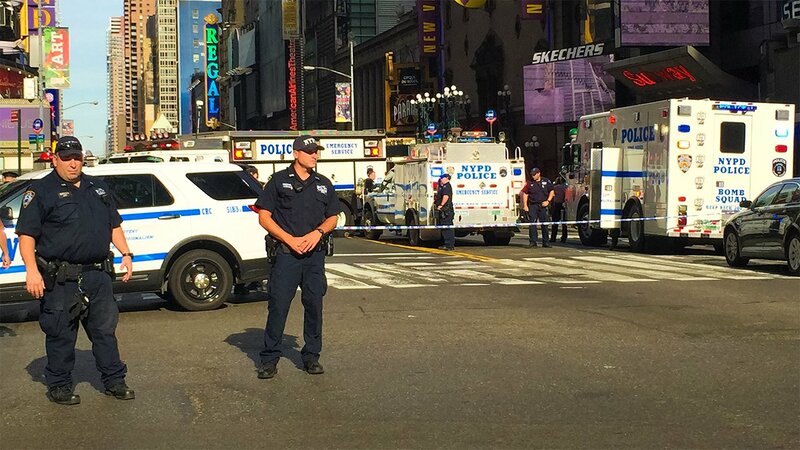 One such suspicious package shut down part of Times Square on Wednesday morning. That package turned out to be an empty suitcase, officials said.